So my wife has been reading this book – The Super Awesome Ways to Organize your Life that Every Idiot Should know by Now. It’s not named that, but I can’t remember what it’s actually called at this very moment. I’m sure she will review it promptly so watch her feed for the real thing. Anyway, it talks about this great way to organize your house by throwing everything out. I’ve been wanting to do that for ages, book seems great to me so far. Ok – so you don’t throw everything out, just all the junk that you have been keeping because you like keeping junk and not because you actually like it or want to keep it. The first lesson is for your clothing. Now you don’t just get rid of stuff, you also learn how to properly put your stuff away. Now if you knew this stuff, you probably already read the book and can correct me on the name of it above. 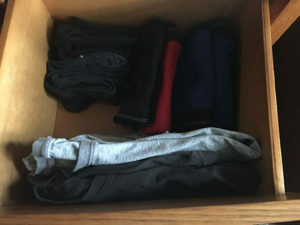 The main idea is you fold things neatly, and lay them out in your drawers vertically rather than horizontally. This way you can see everything in the drawer, and actually get to pull out what you want, not just whatever is on top. It’s also supposed to be better for your clothes and cause less wear. Not sure what he science is on that, but I like the idea so I’ll agree. Along with the being nicer on your clothes, it’s nicer on your eyes. 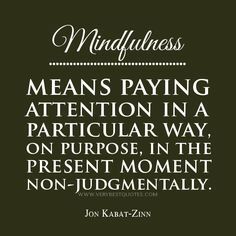 It leads to a very Buddhist principle about being mindful, and showing respect. Respect your clothes, and you treat them nicely – respect your clothes and you want to keep them looking nice, and it’s less of a chore to put them away because you respect them. Follow that logic? If not, just try it – because it really works. Side note: Apparently in Japan they have different size drawers, and the size of the drawer determines what goes in it. Some are deeper than others, shallow ones for socks and underwear, deeper ones for t-shirts, pants etc. 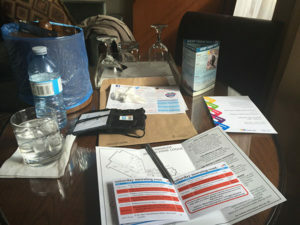 What brought this to mind today – other than we are currently working through the organizational process, is that I’m off to yet another conference. Normally I don’t bother unpacking at the hotel, whats the point right? Just a few days. Not this time though, this time I unpacked as part of getting settled in the new space. I don’t have a ton of stuff, so it only took up one drawer, and a few hangers in the closet, but I got the same feeling of pride and pleasure from respecting and taking care of my things. Similarly, I sat down at the table to plan out my time here at the conference. I set up things in an orderly way (for me) and when I was finshed, put things back. What a novel concept right? In the end, it keeps the room looking orderly, and making me happy. Maybe we could all use a bit more mindfulness. It’s called “The Life Changing Magic of Tidying Up”… and you’re right – I’ve been working on my review and it should be up soon! I’m fascinated that it extends to when you’re away, that’s really cool. I have had all my shirts dumped on the floor today going through them HAHA!!! The fun I have when you’re gone…. Yeah isn’t that what I said the title was? Sounds like you’re having a bunch of fun, any time you can dump stuff on the floor with good reason is a good day.